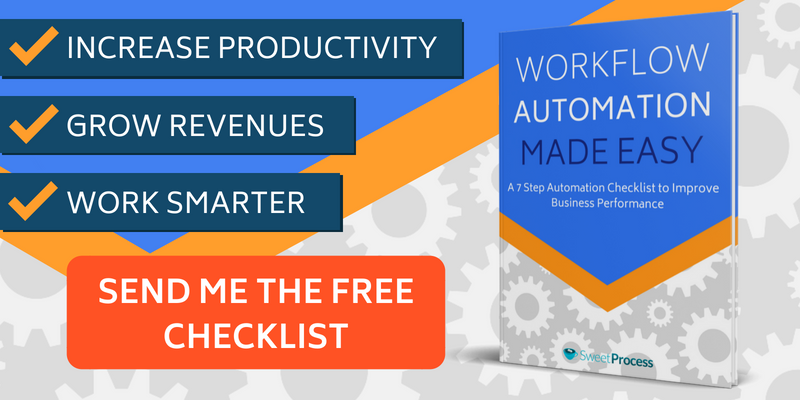 Featured Bonus Content: Get Your Free Workflow Automation Checklist! Click Here To Download It. Do you always feel like you have too much work on your hands? This is often the case in the absence of workflow automation. You have strict deadlines to meet, yet you haven’t even made it halfway. You begin to think your workers are incompetent, so then you bring in the most competent hands on board. Finally, you think you’ll see the results you desire, but you are disappointed to find out the situation hasn’t changed. Has it occurred to you that maybe the fault does not lie in your workers, but in the structure of your workflow? According to a study by the National Association of Productivity and Organizing Professionals (NAPO), disorganization in the workplace leads to financial losses equivalent to 10 percent of a manager’s salary. To avoid further inefficiency, are you ready to make changes and ensure your business processes are well-organized? This article will cover everything you need to know about making the most of your business processes with workflow automation. Chapter 2: Do You Really Need Workflow Automation? Chapter 1: Definition of Workflow Automation. When your business processes are scattered all over the place, you stand the risk of running round in circles trying to pull off simple tasks that would ordinarily take a few minutes. Workflow automation is your best bet to put things in order. He places emphasis on the role of technology in a business operation. However, the performance of such technology is dependent on the efficiency or inefficiency of the existing business operations. Business Dictionary defines workflow automation as “the use of email based software technology to increase the efficiency of a workflow by improving the coordination of the activities of the people involved.” It creates orderliness in the workplace and makes your work routines more productive. Every business man and woman wants results. Having hired employees for your business, you expect excellence. However, manual processes prevent employees from showcasing their full potential at work. The many intricate details of manual processes are a huge distraction. Rather than focus on the actual work, employees spend too much time trying to understand and get through the system. You don’t want to spend so much money on salaries to have employees underperform due to no fault of theirs but setbacks in the workflow. And if you’ve heard of the adage, “If it isn’t broken, don’t try to fix it,” then you know the importance identifying any issues. But perhaps you aren’t sure if your business needs workflow automation. The next chapter lays the cards on the table for you to tell. No one knows your business better than you do. You know what works and what doesn’t. With a little tweak here and there, you manage just fine. But what about other people in your organization? Do they get along just fine? Tasks in the workplace often require the input of more than one person. The inability of a single employee to take ownership of the process could lead to failure. If you could do it all by yourself, you wouldn’t employ anyone in the first place, would you? You have everything mapped out, or so you thought. Employees have been well-informed about the long list of procedures. They have memorized it enough to recite it even if they just woke up. It’s action time. It all starts well. Everything is moving just fine, and then comes the dreaded moment: an employee becomes completely lost on the next procedure. They can’t remember what they are expected to do and go on to do the wrong thing. The entire process is ruined. Work is halted, and everyone is kept waiting. Effective communication between you and your customers is important for a mutually beneficial business relationship. You need to develop and maintain a professional pattern of communication. Erratic communication is a recipe for ruining business relationships. For example, addressing a client by a wrong name is a disaster, and sending information meant for client A to client B is the height of it. If you can’t communicate effectively, why should clients trust you with their work. When tasks are delegated, accountability is necessary to check who is doing what and how well they are doing it. Without an organized workflow system, it’s difficult to know who is responsible for what. If a problem arises, you may never know who caused it. Being aware of the various hands involved in each process is key to holding them accountable. When you are working on several tasks at a time, it’s difficult to keep a tab on everything. This is understandable as there’s just only so much the human brain can remember at a time. Workflow automation gives you a step-by-step breakdown of progress and indicates work status at each point in time. This knowledge helps you be on top of the situation and avoid unpleasant surprises. Processes can only yield good results if they are suitable for the stipulated tasks. You don’t just create processes and abandon them; you need to constantly evaluate them for effectiveness. With workflow automation, you can measure business performance to determine if your processes are yielding good results or not. Workflow automation comes with some perks. You stand to greatly benefit from implementing the system. Find out what they are in the next chapter. Like most organizations, yours specializes in specific services. You find yourself going over the same processes every day. It doesn’t matter that you have mastered these processes; you are compelled to repeat them to get work done; that’s exhausting, isn’t it? Unnecessary repetition of processes is a waste of valuable time. Since you have mastered how things work, wouldn’t it be better to create a system that allows it to function automatically? 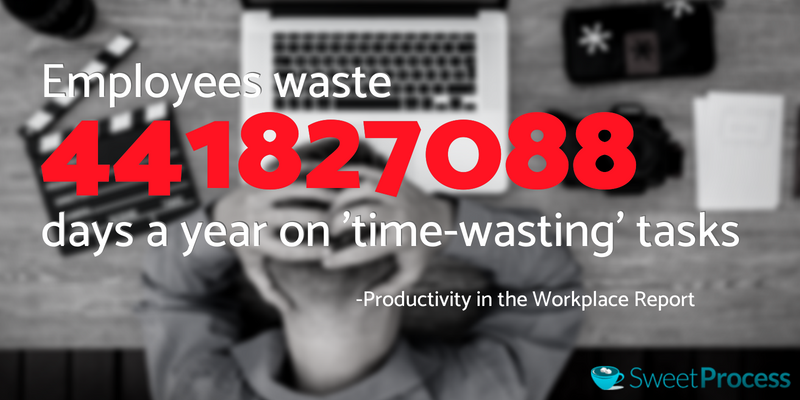 According to the Productivity in the Workplace Report conducted by Red Letter Days for Business, employees spend 400 million days per year on time-wasting tasks. Workflow automation saves the day as it helps to streamline multiple routine functions for continuous flow without constant human input. Communication is a constant factor in every activity in the workplace. Employee A passes information to employee B, and the circle continues. Data from studies conducted by Adobe reveal that workers in America spend 4.1 hours checking work emails every day. When you add duration of time spent on non-email communication, the number increases. As much as communication is important, spending all day on it is to the detriment of the organization. Workflow automation streamlines workplace communication for easier collaboration. Relevant work information can be directly sent to employees for direct access without physical restrictions or the trouble of sifting through loads of emails to find work-related ones. Remember what they say about no one being perfect? Errors are inevitable. Regardless of how organized an organization may be, it still makes some errors. The question is: What’s the frequency of these mistakes? Workflow automation contains errors to a very minimal level. Errors are high when employees have to do a lot of brain work to accomplish multiple tasks. They get distracted for a second and do the wrong thing. Workflow automation does most of the thinking for employees by simplifying processes; all they need to do is make little inputs. For example, you are most likely to make errors calculating large figures in your head, but a computer can give you the correct answer in a second. In the face of errors, risks abound. Workplace duties often involve external resources business owners do not own. It’s important that these resources are handled carefully as any damage to them could put you and your organization in trouble. A seemingly little error in balancing of accounts could get you into legal trouble. Inaccuracies in client records could make you lose a big client. 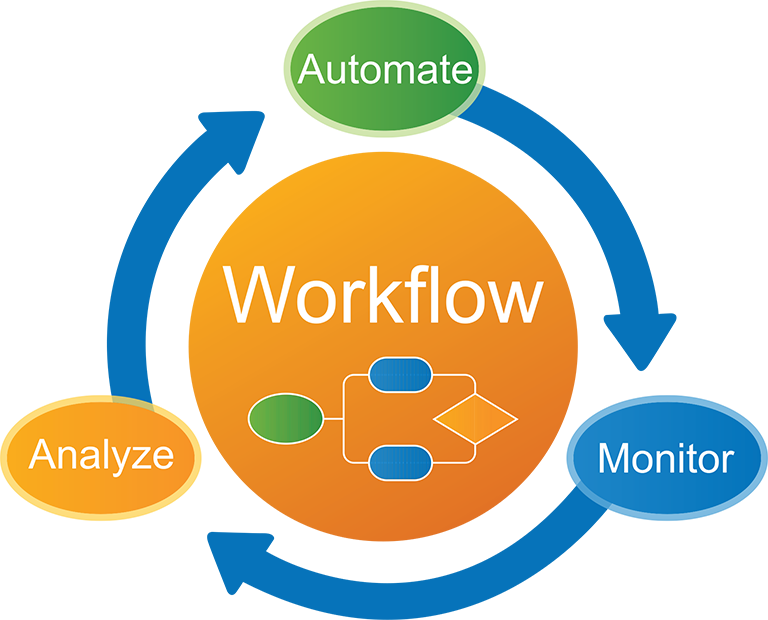 Workflow automation protects sensitive information by reducing errors caused by human input. The system sorts out tasks that employees may have a hard time sorting out. With this, employees will have more time to focus on primary tasks that require human engagement. Long processes aren’t favorable to both the service provider and the customer. The former gets overly stressed by the process, while the latter gets irritated by the long wait. Workflow automation automatically reduces long processes. These processes are often elongated by physical movements and manual documentations. Parties involved can receive files that require their input right on their desk without moving. They do what’s needed, and pass it onto the appropriate channels. This is very helpful especially in establishments like hospitals where nurses go back and forth to make patient information available to doctors. Let’s say you spend two hours executing a particular task. If you find a way to execute the same task in 30 minutes, you’ll have the remaining 1 hour 30 minutes to engage in other tasks. This automatically translates to increased productivity because more work is done in less time. According to studies carried out by Forrester, employees record an 8 to 15 percent increase in productivity when they use workflow automation. You don’t change a winning formula. 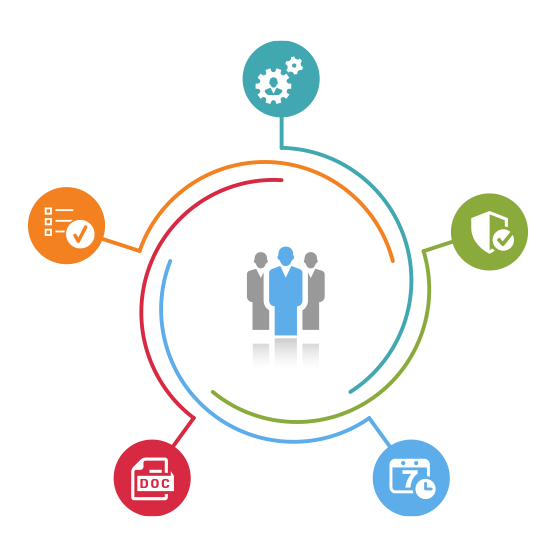 Workflow automation helps you to identify that winning formula in your organization and maintain it. Having identified what works for your business, you build a system that guarantees great results. Automating that system means you’ll get nothing short of great results. You get to retain existing clients and acquire new ones by delivering high quality services consistently. In times past, manual workflows saved the day. But advancements in technology has brought about digital technologies that make workflows even more effective. The next chapter explains why digital workflows are better. The goal of a workflow is to achieve meaningful and maximum outcomes. Perhaps you haven’t realized it, but you have always worked with workflows in your organization — they are the processes in the services you render. The seemingly simple act of customers walking into a supermarket to buy items is a workflow. At the end of the day, they get their item(s) in exchange for money — an outcome has been recorded. The bone of contention now is, is the workflow easy or good enough to make them willing to come back? 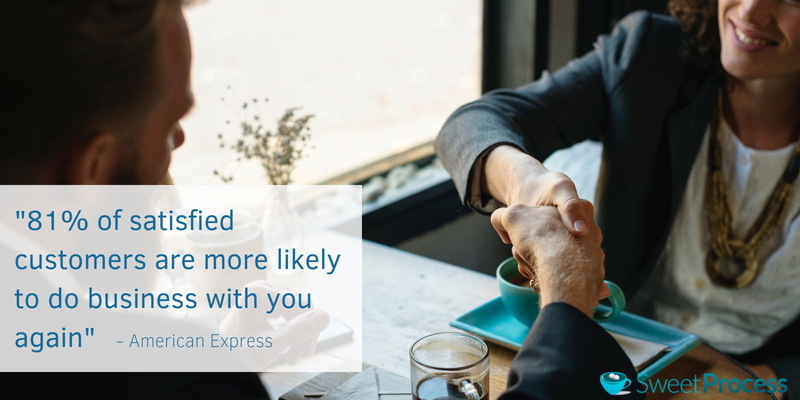 This proves to be true as studies by the American Express Global Customer Service Barometer reveal that 81 percent of satisfied customers are more likely to do business with you again. When you create seamless processes for service delivery with workflow automation, the client is more likely to be happy due to the ease and satisfaction. Think of digital workflows as the better versions of manual workflows. Let’s assume you need employee input on a project. You physically take the documents to each of them. They are most likely busy, so you drop it on their desks, to return at a later time for pick up. There are many potential issues here. First, the employees are not necessarily in the same area or space, so you spend time walking to their individual offices/desks. Since they are busy, they put it aside, with the intention of getting to it later — who knows how long this could take. There’s also the possibility that some of them might totally forget about it. You spend even more time going back to pick up the documents. Of course, you’ll find some errors, so you have to go back and forth to correct them. On the other hand, you could electronically send the documents to the employees with a detailed template to make input easier. You set automatic reminders to remind them in case they forget. They fill out the document and send it right back to you. If there are any errors, you simply repeat the process. Which of these workflows will yield better results? If you are going to create a workflow, wouldn’t you rather have the best? Now, in the next chapter, we show you how to create the perfect workflow automation. According to the Evolution of Work study by ADP, 55 percent of employees are positive about the efficiency of workflow automation in the workplace. A well-structured workflow is a win-win situation for everyone as it simply makes everyone’s job easier. The first step to creating an effective workflow automation is to answer this simple question: “what’s the problem in my workflow?” You don’t just assume there’s a problem without identifying it. Make a visual representation of your current workflows with flow diagrams. Carefully examine the diagram to identify problems like repetitive tasks, errors and delays. Take note of these problems. Often times, entrepreneurs tend to just go with the flow in business. Whatever brings in the money is fine. This might seem okay for immediate financial benefits, but it lacks long-term benefits. Write down your business goals in an action language. How can workflow automation help you achieve your business goals? 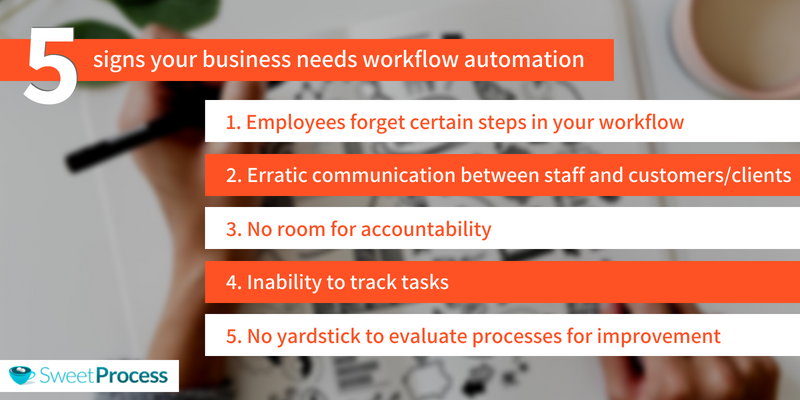 Write down the ways you feel workflow automation will help achieve your business goals. 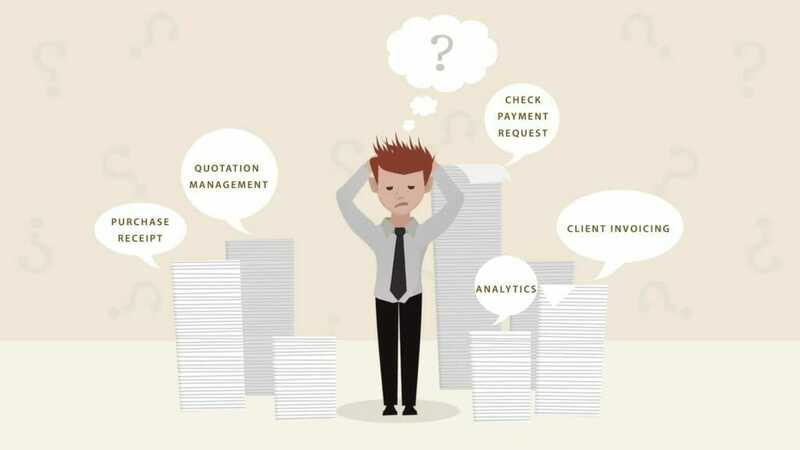 Having figured out your business goals and ways workflow automation can be helpful in achieving them, you need to: (1) Identify specific processes to implement; (2) Implement a system that removes duplicated tasks; (3) Simplify processes employees perform to reduce errors; and (4) Use simple and user-friendly workflow automation designs. When you make the workflow automation systems available, you need to train employees on how to use them. It’s important that they understand how it works, otherwise, there’ll be problems in operations. Understand that employees might be resistant to these new systems. Explain to them the benefits of using them and how these systems will make their job easier. Don’t be in a hurry for them to get the hang of it. As with every new thing, it takes time to get used to workflow automation systems. Launch the workflow automation system and monitor it closely. Seek vendor assistance when confused about setting up. How well does it work? Does it meet your expected needs? Monitor it closely to identify bottlenecks, and implement observations for further improvement. A typical organization has different departments. While they perform different functions, their individual efficiency goes toward the overall success of the organization. Workflow automation enables you to synchronize different aspects of work in line with their specific needs. A sales office can be as busy as a market, especially if you are offering products that are high in demand. Without an effective system, chaos will be the order of the day. Workflow automation can help you create orderliness in the system. Lead prioritization: Keeping up with all customers can be overwhelming. Set up a lead scoring system that will make your system identify the more important leads to contact. Lead distribution: Leaving lead management to the sales manager could delay the sales process as they may be busy with other things. Set up a system that automatically distributes lead accounts to members of your sales team for prompt action. Reporting: Manual reporting of your daily sales progress can take up a lot of time. Automating reports makes sales process faster and easier. The number of accounts in your care reflects on the income figures you make. As accounts get to their expiration dates, ensuring they are renewed should be your goal, especially when they generate good revenue for your organization. Reminders about account status: Account managers are often busy chasing and managing accounts, thereby forgetting about expiring ones. An automatic reminder of account expiry dates will keep them informed and proactive. Engage relevant individuals: Retaining high-value accounts may require efforts from other people in the organization other than the account managers. Set automatic reminders to anyone who can facilitate this. Contact clients: Prepare emails to be automatically sent to clients reminding them of the approaching expiry date and offer them packages for renewal. Customers should never be made to feel neglected. Any delay in attending to their needs can be misconstrued as negligence on your part, and that could push them away. You need to put measures in place for prompt response to support issues. Notification of support request: Set up alerts to receive instant notification when a client needs support. Apologize for inconveniences: Most times, clients just want someone to give them the time of day. Generate an email that is automatically sent to the client, apologizing for the inconveniences, and reassure them of a resolution. Direct to the right staff: Automatically direct client’s enquiry to specific staff in charge of issues they need support on. The HR department plays a crucial role in an organization. Its function is felt by all as it creates policies and implements processes that involve all employees. Shortcomings in this department could cause tension in the whole organization. Easy documentation: Reducing paperwork will do everyone a lot of good as it saves time. Generate and manage company documents with appropriate e-signatures. Information dissemination: Electronically inform employees about upcoming events and meetings, and schedule automatic reminders. Salaries and benefits: Integrate payroll systems for employee wage computation and distribution of bonuses. Discipline: Use emails to fasten correspondence with employees on disciplinary matters. In a tech-savvy society, the IT department is a powerhouse. Not automating your IT workflows could hinder you from keeping up with developing trends. Communication: Integrate a knowledge base to make operational information available to employees for faster and satisfactory responses. Repairs: Resolve hardware and software issues for smooth operation. Customer support: Create channels for requests to be routed to specialized staff for prompt resolution. High project management standards within and outside an organization is important for quality assurance and reputation maintenance. In the absence of this, an organization stands the risk of contradicting its culture and missing its goals. Guidelines: Create a checklist for approval guidelines and use them across all projects for consistency. Sequence: Create a sequence for approvals with automated systems to ensure that projects pass through the right channels before final certification. Project documents: Save time by automating project documents to move onto the next person in line without being passed around in person. Communication: Create an open system for team members to interact easily about project information and developments. The actual manufacturing of products or services is the core function of the production department. Quality is an important factor to consider, and this is tied to workflow efficiency. Unorganized workflows lead to low quality output and inability to meet set targets. Communication: Facilitate communication among production team members in regards to production needs by providing remote access to documents. Speed: Speed up production processes by automating manually performed tasks and reducing paper work. Lifecycle: Improve product lifecycle development with advanced technologies. Safety: Simplify safety measures and notify workers about developments via instant notifications. Standardization: Create a standard framework for quality control and governance across all channels. Routine tasks: Assign repetitive tasks to the system to save time. Team work: Create teams for different campaigns, and appoint team leaders to follow up on prospects. Authorization: Develop a system of hierarchy for content approval. There should be multiple people for every role so that work won’t be stalled in the absence of one person. Autopilot: Set marketing campaigns on autopilot to reach out to prospects at scheduled times. The research and development department conducts in-depth studies about new products and ideas, and also provides market analysis. Accuracy in their findings helps an organization avoid pitfalls and make successful business decisions. Collaboration: Lead collaborative efforts among team members for upcoming product launch with automated application. Accuracy: Reduce errors in data gathering and presentation with artificial intelligence technologies. Research: Carry out surveys with consumers with secured and efficient market analytics tools. Cost: Minimize operational costs by troubleshooting operations to identify areas of excess expenditures with specialized technologies. Planning and managing activities in regards to sourcing and procurement of an organization’s supplies must be done efficiently; otherwise, business operations will be halted when needed materials aren’t available. Data integration: Improve responsiveness with business partners by integrating business data for ease in engagement. Standardization: Use automated software to create standardized systems for operations on all levels. Order processing: Save time by replacing time-consuming manual tasks with automated systems to accelerate order processing. Stakeholders: Bring stakeholders in the supply chain closer by facilitating communication and information gathering with automated systems. Having a functional accounting and finance department keeps you abreast with financial activities in each department and helps determine your organization’s financial positioning at each point in time. When you are experiencing difficulties in balancing account statements due to errors in reports, automating the system could provide a lasting solution. Approval processing: Create workflows for financial approvals as unnecessary delays is a setback. Auto payments: Automate reoccurring payments to keep work moving and save time. Payroll system: Use an automated smart payroll management system to prevent errors in payments. Reminders: Set reminders to parties of pending documents awaiting their approvals and inputs. Examining operations is necessary to ensure quality assurance. The whole work process will be futile if quality is below standards; it’ll be a waste of time and resources. Measure performance: Carry out a test run with measurable variables to check for efficiency and accuracy. Process execution: Make sure that the right employees perform the right procedures at the right to avoid errors. Guidelines: Provide employees with a checklist of the procedures to guide them through. Identify errors: Monitor different sections of the process to identify areas and causes of problems. The administrative department is center stage of an organization — it is what connects all departments together. And when center stage is unstable, all the other sections cannot function. 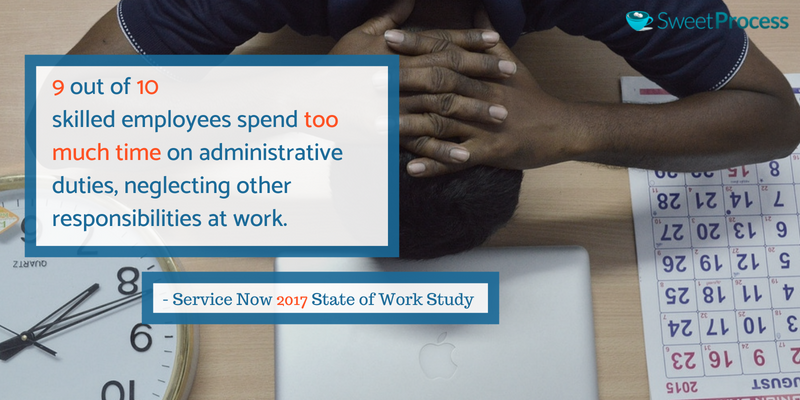 The 2017 State of Work Study conducted by Service Now revealed that 9 out of 10 skilled employees spend too much time on administrative duties, neglecting other responsibilities at work. Notifications: Make use of digital applications to notify different departments about management information and policies. Approvals: Create an automated system to perform additional routine approvals for already approved projects. Action: Set alerts to departments as reminders for outlined duties and commitments to be delivered. Identify clogs: Use workflow analytics to identify clogs in your management systems. The operations department is accountable for profits and losses. Returns on investments can be fully maximized when workflows are in their best forms. Haphazard operations thwart productivity. Automating workflows in this department will create opportunities for high returns. Save cost: Lower operating costs by reducing the number and frequency of human input. Expertise: Increase work quality by giving expert employees more time on their hands to tackle high value tasks. Order management: Use notifications to track orders and update order sheet automatically. Discount approvals: Send automatic notifications for discount approvals. Ensuring that legal matters are properly sorted lies in the hands of the legal department. Getting it wrong could cost your organization a lot of damage. Routine tasks: Set routine tasks to run on autopilot to save time manually going over them repeatedly. Documents: Automatically print documents as soon as they are generated to avoid a pile up. Tracking: Record and track case progress using automated tracking software to stay on top of cases. Notification: Notify other departments and relevant employees about new legal matters for quick action. So, you’ve set your workflow automation for your business, great job. As much as you’d love to sit back and watch things begin to happen, it isn’t just yet time for that. You need to ensure that the system is effective. How well is information disseminated? The flow of information from one place to another is critical to the success of your workflow automation. Create a free flow of information, eradicating any “noise” in the process that could alter communication and lead to misunderstanding. Evaluate how participants interpret workflow messages. If they are having a hard time, further simplify the workflow messages. How profitable is the system? One of the major aims of workflow automation is to reduce operational cost and save some money for your company. Calculate operational cost and compare it to its return on investment. If you aren’t making any profit from the process, then it’s not good enough. How reliable is the workflow system? 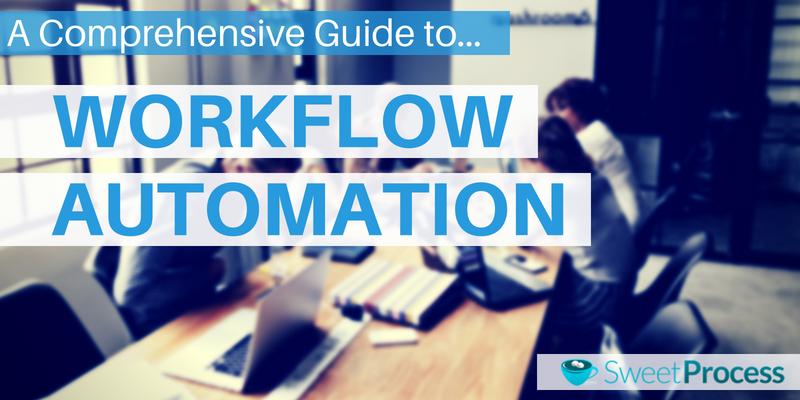 The whole idea of creating workflow automation is to have a more efficient system. Organizational inputs must be turned into rewarding outputs. Efficient systems give you a competitive advantage several miles ahead of your competitors. Therefore, check the system for accuracy and errors. Errors may not be totally eradicated but must be as minimal as possible. How fast does work get done? A great process that takes forever to execute is a huge setback in productivity and meeting deadlines. When efficient work is done at a good speed, the output will be on the rise. Record process timeline per unit to determine if it’s favorable to the total output. Workflow automation isn’t a one-off. To enjoy its benefits over a long period of time, it should be simple enough for others to understand, operate, and maintain it. Operational and maintenance guidelines should be clearly spelled out and made available to parties involved. Then, allow employees to test run the system, and monitor how effective they are at it. Take note of any clogs and further simply them for efficiency. Do the different parts of the system blend well? Effective service delivery requires inputs from different people and departments, and these inputs must have a synergy to be productive. A non-collaborative design causes problems in the distribution chain. Monitor the workflow to see if it promotes collaboration or stifles it. Companies who automate their workflows are likely to experience six times more growth in revenues, 15 percent higher than companies who don’t. That’s a lot to gain for simply implementing a system. To make the process easier for you, we have put created a document you can download for free: Checklist for Workflow Automation. Don’t miss this opportunity to take your business to greater heights.